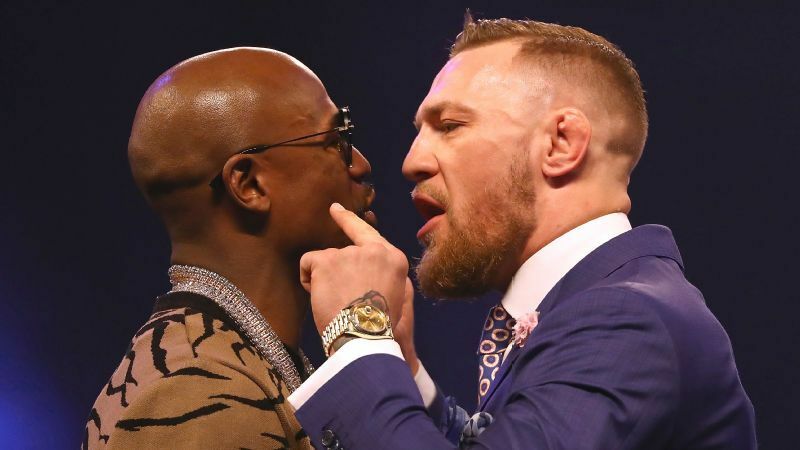 The four-city tour by Floyd Mayweather and Conor McGregor ahead of their scheduled August 26 bout at T-Mobile Arena in Las Vegas was more of a WWE-style promotion than anything else, laced with expletives, slurs, and what some considered to be racial epithets. Now, some in the boxing world are advocating for this style of promotion moving forward. However, those who believe that is going to generate more fans are very misguided. Mayweather-McGregor is likely going to break the pay-per-view buy record of 4.6 million set in 2015 by the Mayweather-Pacquiao bout because it is unique; not necessarily because we are going to see a tremendous fight. If light-heavyweight champion Andre Ward took the same approach as the Irishman to promote the Kovalev rematch, the world would have laughed hysterically. That is not directed as an insult at Ward. He’s the best pound-for-pound boxer today, but he is not Floyd Mayweather. While the bout is mostly for entertainment purposes, there are fans on both sides of the isle that believe McGregor will knockout Mayweather, which won’t happen. Nevertheless, there are enough that believe it whole heartedly, and are willing to sacrifice up to $100 to watch their dreams get shattered. 2017 has been a tremendous year for boxing. 90,000 fans enthusiastic fans at Wembley Stadium watched as heavyweight champion Anthony Joshua scored a palpitating 11th-round stoppage of ex-champion Wladimir Klitschko in what was perhaps the greatest heavyweight title fight in decades. Joshua-Klitschko was just one of many marquee matchups this year. Keith Thurman-Danny Garcia, Gennady Golovkin-Daniel Jacobs, and Andre Ward- Sergey Kovalev II, also come to mind. The last thing the sport needs to do, though, is change the way it promotes fights. Regardless of how ridiculous they may be at times; the fans drive the sport. Pre-fight festivities are always a great opportunity to connect with the fans, and make new ones. Let Mayweather-McGregor do its thing and be done with it – it won’t ever happen again.